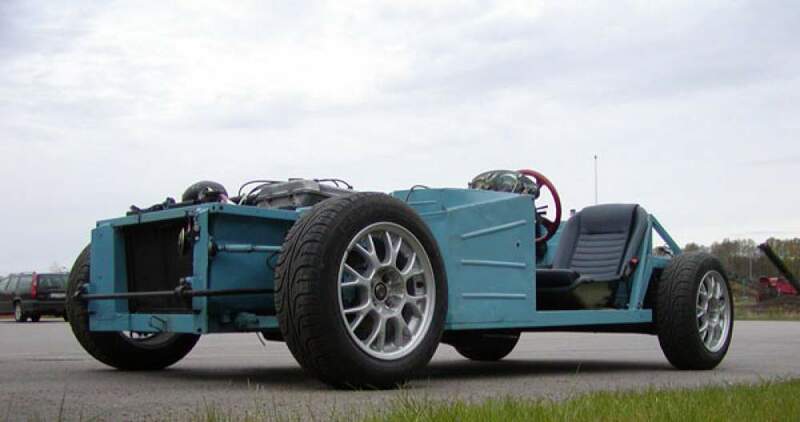 The main features of the car's design is the tube frame chassis. 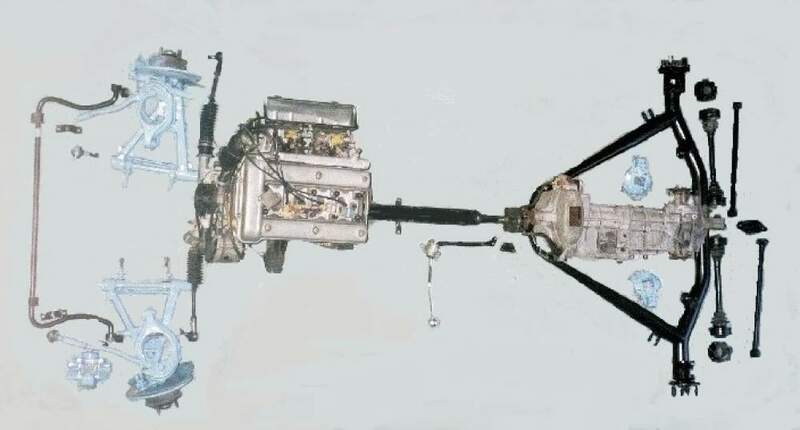 The engine is located behind the front axle and gearbox in one unit with the final drive for best weight distribution. A light construction totaling approx. 750 Kg, With a 150 Hp motor providing sustential performance resulting in 0-100 km/h in 6 seconds. The most thoroughly tested coil over kit has optimized springs for the car's weight. 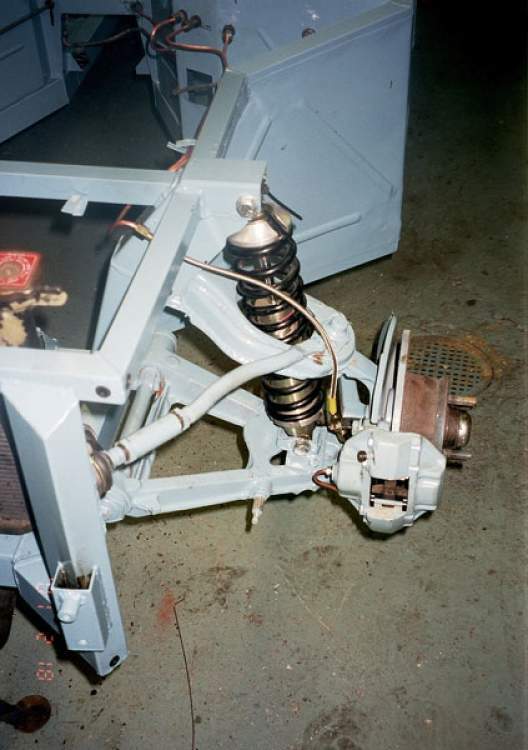 The car is enhanced for tall people and the adjustable pedals allows taller people from 160 to 200 cm to be able to drive the car without problems. The tank is securely placed on top of the rear axle which also means that the trunk is very large. 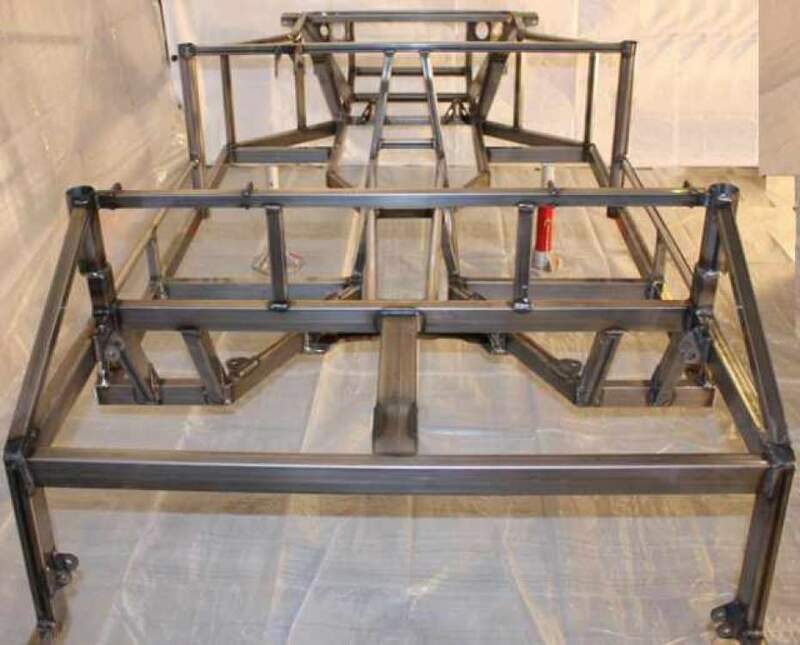 The framework chassis shown without mounted metal sheet. The sheet metal kit will complete the chassis. 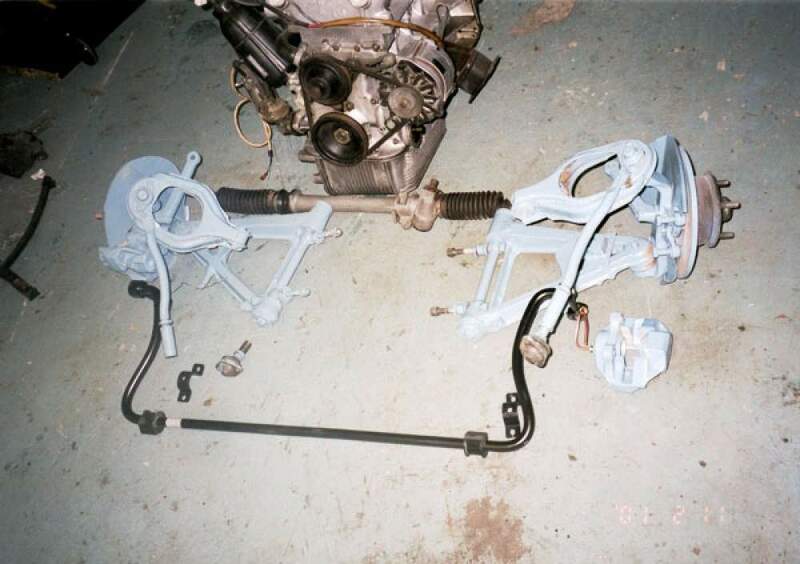 The chassis has all the required mountings for the Alfa 116 series)Alfetta, Giulietta, Alfa 75, Alfa 90, Alfetta GTV) donor parts. 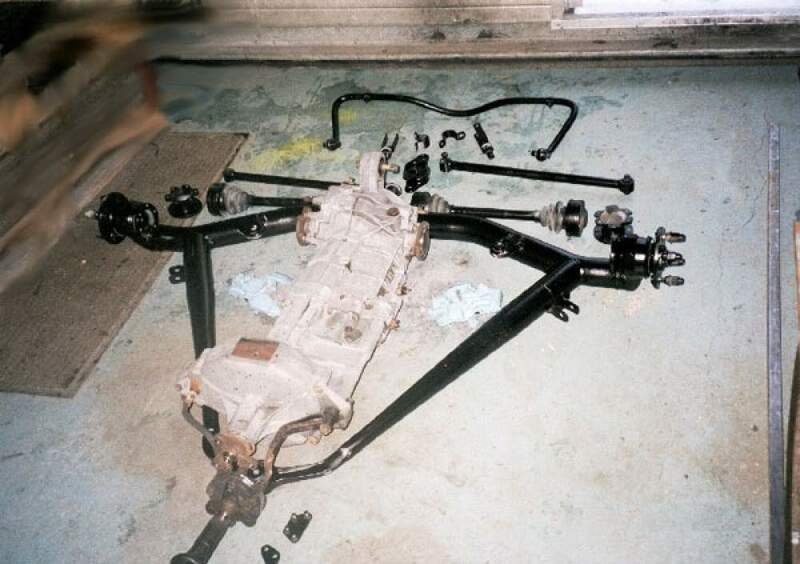 The rear axle/gearbox mounting unit is taken from the donor car and converted for the framework. 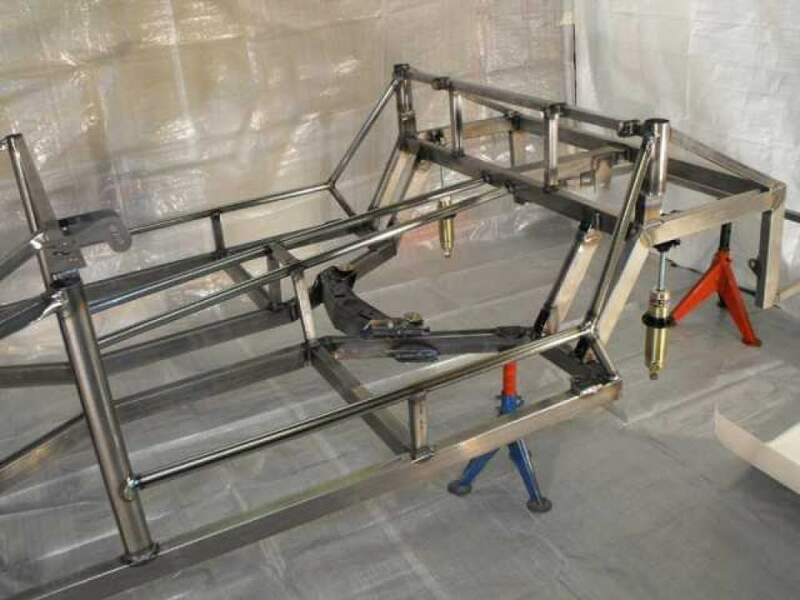 The framework are prepared for full crash bar. Various brake setups exists on the Alfas. Alfetta has solid discs with 4x98 mm hub profile, while others like the Alfa 75's have the ventilated discs with Brembo alloy calipers and the 5x98 profile hub. Optional is a center lock hub for true wire wheels. 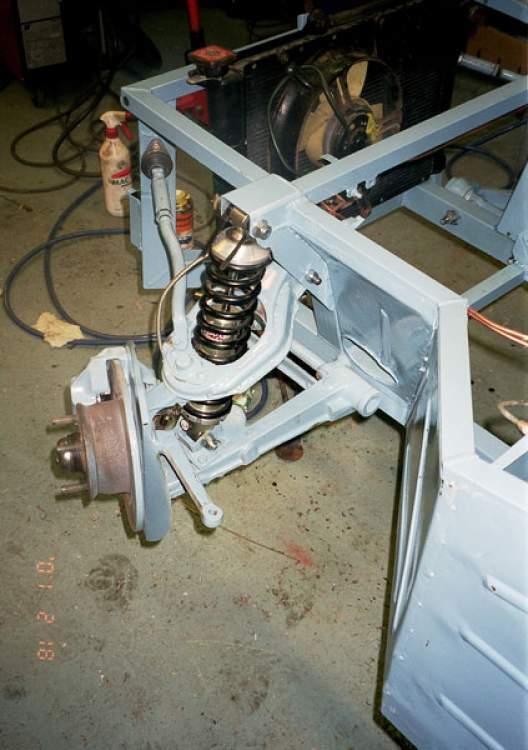 The front suspension has to be slightly modified to get the coil over shock absorbers replacing the original torsion bars. The dampers are adjustable and the spring settings std 2.25" for personal setting. Optional is a set of lighter tube link arms. 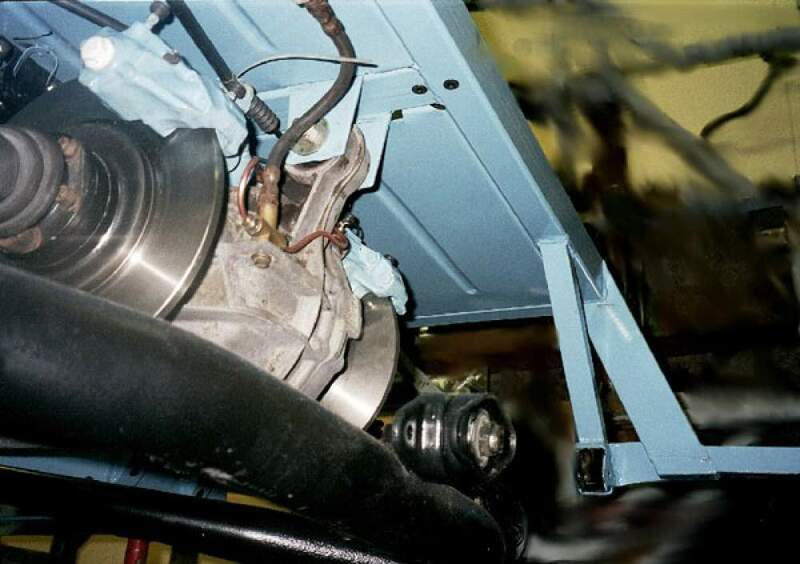 Four cylinder Alfa's up to 1986 usually have carburetors fitted engines like those on the pictures. Power in range 118 - 200 Bhp. The Alfa 75 TS has a 145 BHP. Alfa 75 Turbo 156 Bhp but it can easily be tuned to perform a 225 BHp. The V6 engines fits as well. The original three litre version has a 185 BHP but weigh an extra 40 Kg more than the four cylinder one's. Gearbox and final drive are in one unit. Some models have limited slip differentials as Alfa 75 TS, Turbo and 3.0 V6. A number of screws keep the body in place. Five connectors for the electrical components. These can easily be removed and then it's easy for two persons to lift off the body completely from the car and gain access.